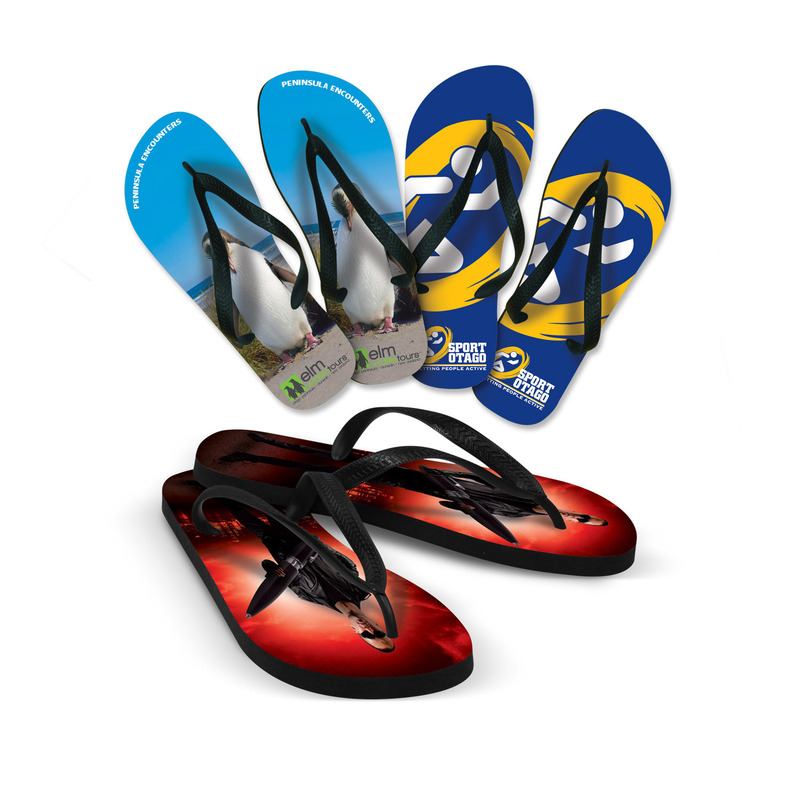 Trendy fully colour thongs designed to highlight you logos. These trendy promotional thongs will take you anywhere, any-time. The flip flops are robust and offers excellent comfort. Manufactured specifically for high definition full colour printing. Available in white with black thongs. Additionally the flip flops offers a great range of sizes from extra small to extra-large sizes.